Applicants can submit their application online on the Online Admission Portal of the University - www.onlineadmission.ignou.ac.in. Details of the Programmes on offer, fee structure and eligibility are available on IGNOU website. IGNOU announces admission for the session commencing January 2019. 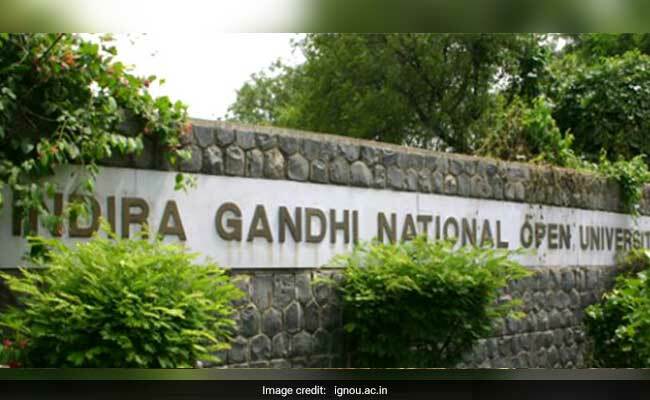 Indira Gandhi National Open University or IGNOU serves the educational aspirations of over 3 million students in India and other countries through 21 Schools of Studies, a network of 67 regional centres and around 3000 learner support centres. Applicants can submit their application online on the Online Admission Portal of the University - www.onlineadmission.ignou.ac.in. The admission process, which has started on November 5, 2018, will continue till January 15, 2019. Academic Programmes at PG Diploma, Diploma, Certificate and Appreciation level in diverse disciplines are on offer in Open and Distance Learning or ODL mode. Details of the Programmes on offer, fee structure and eligibility are available on the University website. Applicants are advised to click the available programme tab on the homepage of the Online Admission System and select the desired programme and carefully read the details of programme including eligibility criteria, fee details, duration, etc. For more information about IGNOU Programmes and admission, an email may be sent to ssc@ignou.ac.in or registrarsrd@ignou.ac.in. Common Prospectus can be downloaded from the website: www.ignou.ac.in free of cost. PG Specialization Diploma (Direct entry) in Human Resource Management (PGDHRM), Financial Management (PGDFM), Operations Management (PGDOM), Marketing Management (PGDMM) and Financial Markets Practice (PGDFMP). The prospectus for these programmes can be downloaded from IGNOU website link http://ignou.ac.in/userfiles/Management-2018.pdf. The filled-in application is to be submitted along with requisite fee at the Regional Centre concerned. Advanced Certificate in Power Distribution Management; Information Security; PG Certificate in Adult Education; Cyber Law; Patent Practice; Bangla-Hindi Translation; Malayalam-Hindi Translation; Agriculture Policy; Gandhi & Peace Studies; Information & Assistive Technologies for the Instructors of Visually Impaired; Geoinformatics; Acupuncture.